In many cases, you are collecting or tracking data in one or more worksheets in a workbook. While you know how to summarize the data on one worksheet, you may wish to combine the data into a report from these individual worksheets or even from other workbooks. 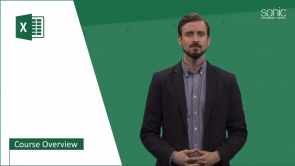 Excel has several features that allow you to aggregate the data to generate those reports.